S/v Espiritu: Diary of a Wimpy Cruiser: Let's talk about the black "Steel Magnolias..."
Let's talk about the black "Steel Magnolias..."
The cast of the 2012 remake of the 1989 classic "Steel Magnolias"
Calling all women and gay men -- yeah, that's right, I'm talking to YOU, the target demographic. I have to say that when I first heard about this remake a few months ago, I squealed with delight at the prospect. First, let me make another obvious statement -- that I love love LOVE the original, and have seen it countless times. 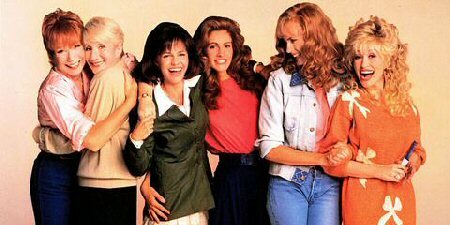 The cast of the original 1989 version of "Steel Magnolias"
As much as I love the original, it is, of course, a very whitewashed version of life in the modern day south. I don't think there's even a single black person in the whole cast! Not even as a servant. A cynical (but probably somewhat accurate) view of the white, white, whitey-white original is that the people are so white, and so NICE, without an apparent racist bone in anyone's sweet little body, that it's probably not very realistic. Sigh. I realize that talking about life and race relations in the south is a delicate topic, and as a white girl who's spent her entire life in California's OC, I'm the first to admit that nearly everything I know about life in the South is from TV and the movies. representation of modern life in the South? Anyway, I think everyone can agree that it seems these days race relations are in pretty sad shape and seem to be going in the wrong direction, especially below the Mason-Dixon line (That's what they tell me on TV, anyway -- which, as I admit, is where I get most of my information). Times are changing fast. Blacks and whites both seem to be trying to find and keep their identity in a political and economic landscape that seems to be constantly shifting. These are uncertain times. So, for whatever reason, when I first heard about the black remake, I thought: "Well. Good for THEM!" Like it would be some sort of revenge on the white original. A twisting of the knife, so to speak. I'm always a sucker for the underdog -- and if anything, African Americans in the south are THAT. After all, African-Americans, of course, have at least as much credit for making the south what it is as do whites. It's their culture too. Anyway, there was a teeny-weeny bit of that sentiment in the remake, I think. For instance, at Shelby's wedding and reception, most of the servants were white (tee-hee). But beyond that, there wasn't really any race baiting going on here. 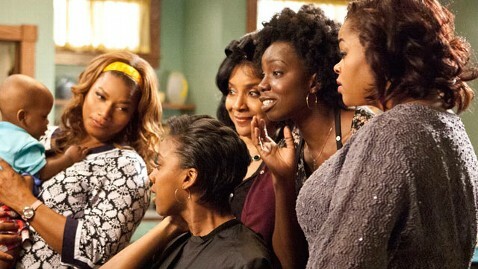 Like the whitey-white original, the black Steel Magnolias is pretty damn good hearted, sweet, touching and funny. Ouizer are impossible to replace. Period. 2) Julia Roberts is, well, Julia Roberts. good reason. She nailed the part. Noone does hypoglycemic shock like Julia. She could definitely get a job like the one Kramer had on Seinfeld, when he acted out diseases like gonorrhea and cirrhosis for the local medical school. What? That job doesn't actually exist? See, that's what I get, learning about life from TV. I'm sure there's a young black actress out there who could have played our tragic heroine Shelby, but sadly, Condola Rashad is not that person. Yikes. Her portrayal was painfully wooden and very, very bad (she's the daughter of Phylise Rashaad, which proves that black, white or yellow, nepotism is alive and well in Hollywood). Finally, there's the pivotal role of M'Lynn, the matriarch of the group. As everyone knows, America's sweetheart Sally Field (We like her! No, we LOVE her! We really, really LOVE her! -- no sarcasm here -- we -- I! Really really do!) personified the heart and soul of M'Lynn in the part of a lifetime. 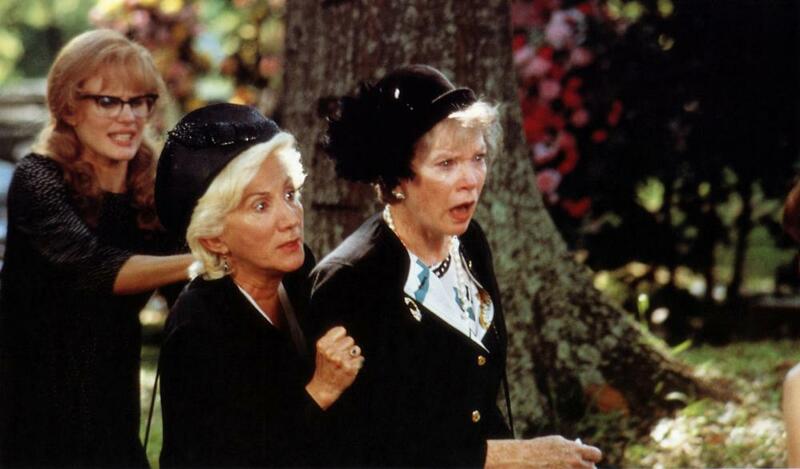 sacrificial American mother as M'Lynn in the 1989 original. But you know what? I'm happy to report that I loved Queen Latifah as M'Lynn. I was sort of saddened to read several complaints by ardent fans of the original that they hated the remake. I don't understand the anger. It's basically the same script with some African-American cultural updates (for example, they dance to hip-hop instead of "On the Bayou" at the reception). And if the target demographic for this Lifetime remake is African-American women, so they can have THEIR version of this film so well loved by women across the globe -- what's so wrong with that? In the end, it's the script, humor, and the basic humanity of the thing that cuts across color lines and touches the same beating heart that we all share. So, ladies, I say fire up your Netflix and catch this on streaming while it's available.